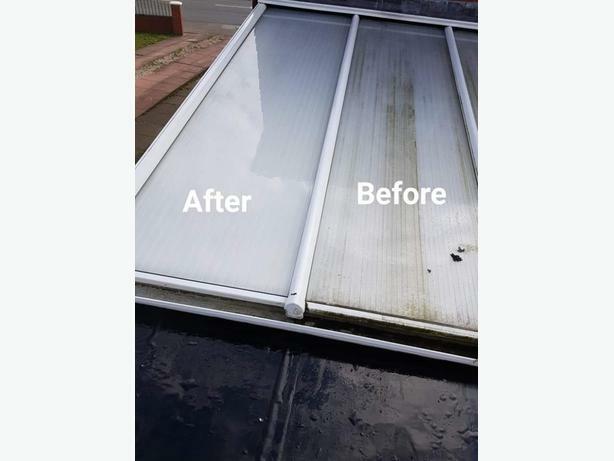 CONSERVATORY CLEANS FROM JUST £85. WINDOW CLEANING FROM JUST £13 PER DOMESTIC PROPERTY. WE COMBINE WATERFED POLE WITH OUR POWER WASHER FOR ALL UPVC CLEANS. WE WON A COMPANY AWARD IN 2018 FOR OUR TRUSTWORTHY SERVICES.